The nurses and clergy are back to work at Nonnatus House in the East London district of Poplar as Call the Midwife returns for a new season. Season 8 of this fan favorite premieres 7 p.m., Sunday, March 31 on the Oklahoma Educational Television Authority (OETA). This season takes place in the spring of 1964 as all of England is anticipating a new royal baby. The show welcomes new characters, returning favorites and continues to live up to its reputation for highlighting issues of physical and mental health. It was also recently announced that the show has been renewed until 2022. 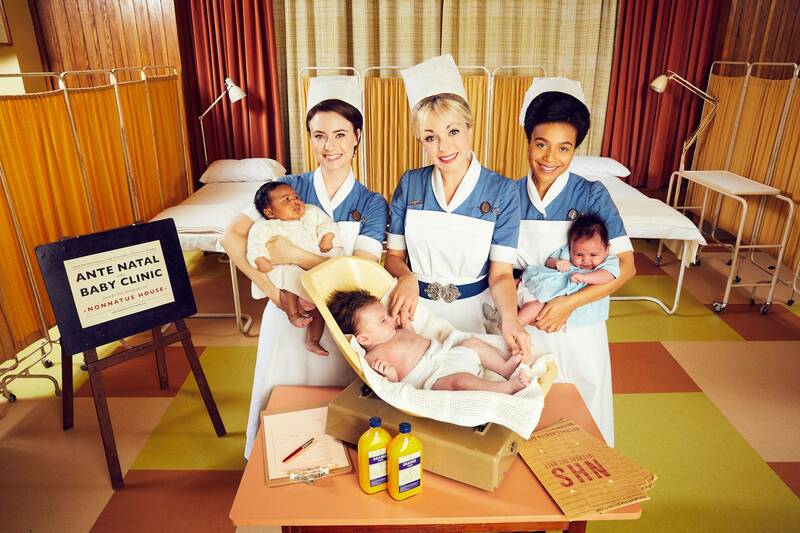 According to show creator Heidi Thomas, Call the Midwife will move from the 60s into the 1970s as it continues to bring viewers tear-jerking medical drama. Narrated by Academy Award winner Vanessa Redgrave, Call the Midwife was adapted from the best-selling memoirs of Jennifer Worth and takes a moving, funny, colorful look at midwifery and family in London’s East End.